Sunday night while i was buying catnip to make a spirit catman my bestie in Dungeons and A-holes, i also was having a Facebook conversation with Travis. For those that don’t know Travis he is a Magic player that tends to think on the edges of what most people thing of as good deck design. Also he is a huge troll, that is just his thing. If he can get you to think about something by poking you with his words he will do so at almost all costs. Ie, Troll. One last thing about Travis, he will be my podcast partner for a new show coming soon. Locking down a recording time is our main hangup but i hope to have that ironed out real soon. Anyway, Travis and i were bouncing around a deck list he has been rocking for a few weeks now and doing fairly well with at his local store. This is what he sent me over a couple of messages. In another window i jump over to Tapout.com and fill this mess in and try a few practice hands. If he is winning like he says he is based off out out my practice hands went he is sacrificing kittens to a forgotten god in a cave somewhere. So between roleplaying moments of amazing stuff, i hit him back with a few cards. After a moment the following comes in, make a list set it up how you think it would be best and i will take a look in depth. These are my thoughts for a list. 34 not lands meaning 26 lands, i think that 26 should be more then enough. but if not i can see adding in a few more by cutting the commands but i like idea of using them to jump to 4 lands as well as sneaking in some damage. So why temur? Well Radiant Flames really needs 3 colors of mana on hand to do max damage to wipe the board and Sarkhan Unbroken is a non creature way to draw cards while fixing mana and or make big flyers to get in damage or block as needed. Ie he is the stall this deck wants. Jace allows us to rebuy our much needed spells since we want such a large land count. 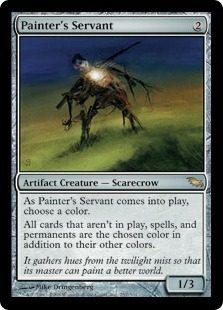 And well green sideboard cards are sweet right now. The real question is can we go Mardu? Yes, yes we can the mana is about the same as Temur. With the loss of our planeswalkers, cruise and Atarka’s Command we gain, a slew of wraths, two of the best removal spells post rotation Murderous Cut and Crackling Doom as well as two cards i feel will really shake up standard post rotation Deflecting Palm and Mardu Charm. Getting in for a few points as your opponent ramps to a big fattie then palm them back with their own man or Cdoom it down is a thing i fully expect in the coming months. It is a good time to be into Magic. It is a good time to buy boxes if you don’t play and sit on them. This next set of cards will be like printing money unlike any set we have seen before and i hope we wont see again for a long while. Okay, i need to get to bed soon and i want to finish the MTG Potpourri cast, don’t think i am going to make it but i want to try. One of the Worse Times of the Year. I hate standard rotation time, I feel it is one of worse times of the new for brewers. Well at least for me. As the last few weeks of Standard start to wind down and the next cool cards start to come to light all i see are the babies that i haven’t had time to finish or play. I don’t play as much constructed magic as i could. Sure i play FNM’s (but i tend to draft at those) and whatever other tournaments we have at my local shop but i don’t travel to play. Not really. And since i don’t play Magic online other then the odd draft, i am often left with dozens of minor regrets at the end of the Magic year on decks not played. Sure there is the excitement of whats to come, but i don’t have those cards. The don’t sit in my binders calling out to me. They are just cards on a screen. Like books on a shelf when you have no time to read them. Great possibilities, possible flops but until they are in my hands they are just dreams yet to come. 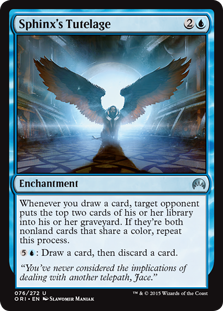 Think that is part of the reason Modern is such a popular format. People just want to keep rocking their favorite cards. And i understand that feeling even if modern is just too big of a format for me most of the time. But in a few weeks this feeling will be long past and my focus will be on all the new and exciting possibilities happening all a round us. But for now i long to hang on to what is here. Thinking of you Theros block.